Pseudoceros bifurcus Prudhoe 1989. Eastern Africa to Indonesia, Australia, Philippines. Pseudotentacles as simple folds. Distinctive white mid-line stripe that is orange at the anterior of the animal. To a bit over two inches in length. 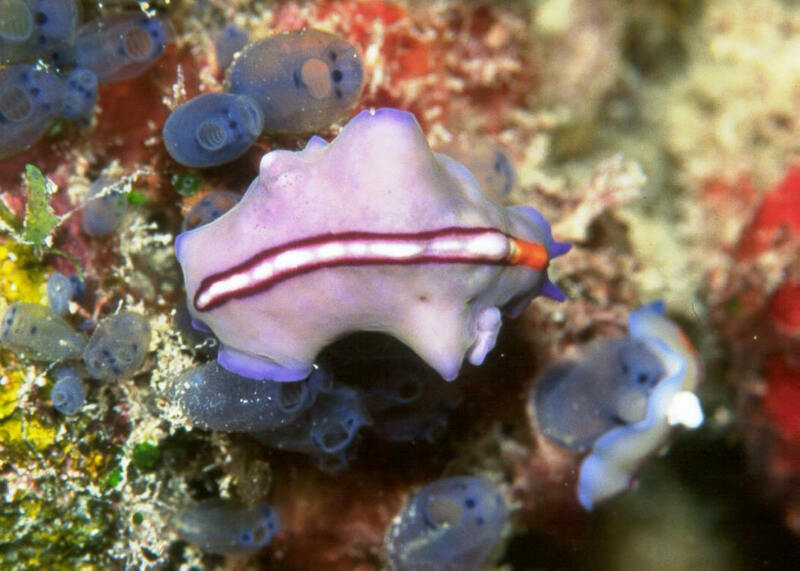 Off of Heron Island shown feeding on tunicates. 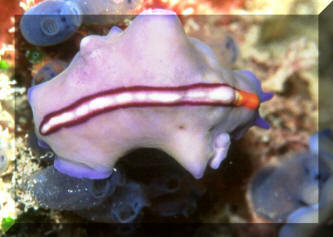 Pseudoceros contrarius Neman & Cannon1995. Creamy body with yellow line down the middle. Dual color banding around perimeter... Yellow/orange and blue/black. New Guinea... 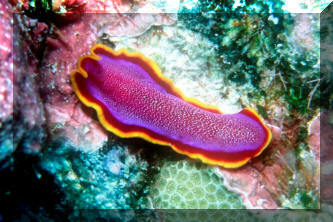 This one in Raja Ampat 08. Pseudoceros contrarius Neman & Cannon1995. Creamy body with yellow line down the middle. Dual color banding around perimeter... Yellow/orange and blue/black. New Guinea... This one in Sipidan, Borneo, Malaysia. Pseudoceros ferrugineus Hyman 1959. 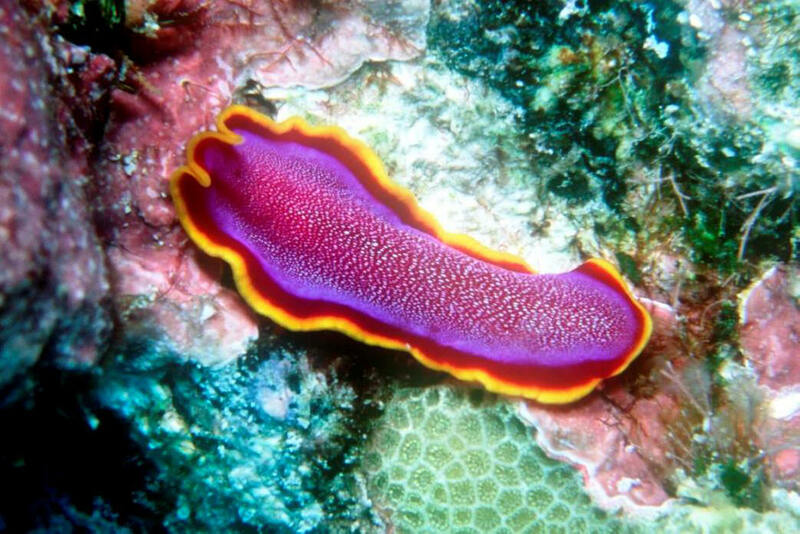 The Fuchsia Flatworm Central and Western Pacific at moderate depths. Out during both day and night, often appearing bluish until artificial light is applied, and more round when fully opened. Hawaii pix.